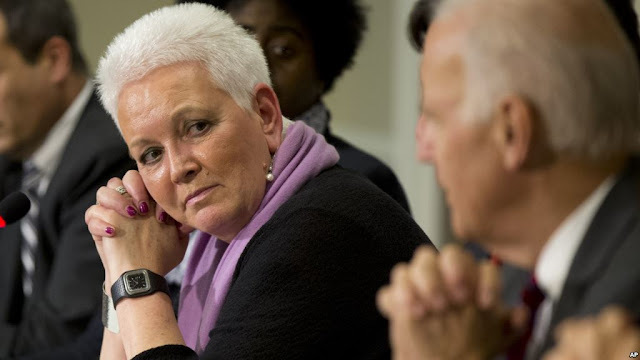 The opposition to Gayle Smith’s appointment as the head of United States Agency for International Development (USAID) by aid groups and humanitarian activists was considerable. Gayle Smith draws tremendous attention particularly due to her past connection to the late tyrant Meles Zenawi when he lead the Tigrayan People’s Liberatiobn Front (TPLF) in 1984, during Ethiopia’s worst famine that shook the world with the pictures of starving, bloated emaciated children and, for her unwavering support of the regime after they took power 1991. In 1991 Smith ended her career as a “Journalist” and later became Chief of Staff of the USAID. A move that raised eyebrows and cemented legacy that is associated with shadiness and conduit to tyrants. Her recent appointment as a head of USAID was also met with resistance. Despite the opposition however, Smith is in charge and increasingly involved on affairs related to the Horn of African countries and particularly Ethiopia. "We are acting to prevent a major humanitarian crisis and protect Ethiopia's hard-earned development progress,"
This announcement drew yet another round of criticism by Human Rights activists and Ethiopians worldwide. Moreover, Ethiopians are increasingly at edge in light of the intense opposition to the government and massive continuous demonstrations in Oromia which is now spreading throughout the country. The TPLF has a checkered past particularly in relation to misuse of aid. The TPLF has mastered the art deception telling the world that they are doing well by the people and the future of the country when in reality they are corrupt and inept on handling the affairs of the nation. Above all they are ruthless genocidal killers that terrorized the people of Ethiopia for almost three decades. Gayle Smith’s announcement brought-back memories of recent past and it could not have come at the worst time as Ethiopians all over and, particularly in Oromia have been fighting for the very-life of the nation for over three months as direct result of the repression. Hence, giving assistance to the regime brutalizing en mass is seen as buying it life to further suppress and indirectly continue the repression. The TPLF does not need aid or Disaster Assistance Response Team. If the TPLF was capable to help facilitate genuine aid, the current problem would have been averted. Furthermore, for aid to be effective, the TPLF must address the core issues and find fundamental solution to the uprising and nations woes. Instead, the TPLF has effectively turned Ethiopia into a country at war with itself by assigning military generals particularly in Oromia where it is losing control fast and killing demonstrators with brute force. Why Aid and Why Now? However, it is rather easy to argue that US policies in general and assistances that the Obama administration provide the regime will have a negative impact and bring about the very crisis that they claim are acting to avert. President Obama has done a disservice to the American people by allowing Gayle Smith and Ambassador Susan Rice to be his principal advisors on African matters and particularly Ethiopia as they have been closely linked to the genocidal regime for decades. Smith and Rice’s close association with the president has denied the American people sophisticated, intelligent and balanced approach to African related issues. It closed-off the door to the American people and denied them opportunity to debate matters with the importance and urgency necessary that can bring lasting solutions, transparent foreign policy that places US interests in the forefront. In short, US foreign policy of the Horn of Africa is lacking brain power necessary. DART is an expression of the flowed policy. Moreover, when the Obama Whitehouse endorsed the 100% election victory claim of the TPLF as a legitimate democratic election result and, particularly after Susan Rice laughed as she replied to a journalist to a question regarding the validity of the lection during a press conference to announce President Obama’s visit to Ethiopia for the African Union gathering; Ethiopians have lost faith on the Obama administration. Ultimately the minority TPLF regime is responsible for the current developments, the atrocities and the downward trajectory of the nation. However, the timing of DART and the unwavering support that successive US administrations give to the minority TPLF regime and the Obama administration particularly Gayle Smith and Susan Rice’s close ties with the regime is good enough reason to hardening the position of Ethiopian opposition parties. The Oromo uprising is a reflection of the hopelessness and it also demonstrates that Ethiopia can no longer expect the international community particularly US to become advocate for justice on their behalf. This is true in Gondar, Hararage, Bale, Ogaden and all-over the country. Ethiopia is on fire everywhere and, in short-time the world will be exposed to the reality on the ground and hopefully it is not too late. Ethiopia is fed up by the brutality of the apartheid minority regime that shamelessly shackled human beings like animals in Gambela as they forcefully takeover their land in the name of development to land grab. Hence no Disaster Assistance Response Team (DART) can change the future trajectory of Ethiopia absent of genuine people based change.